Do you know the name Dan Lyons? What about the Secret Diary of Steve Jobs? Aka fake Steve Jobs. He kinda looks like Louis Theroux. 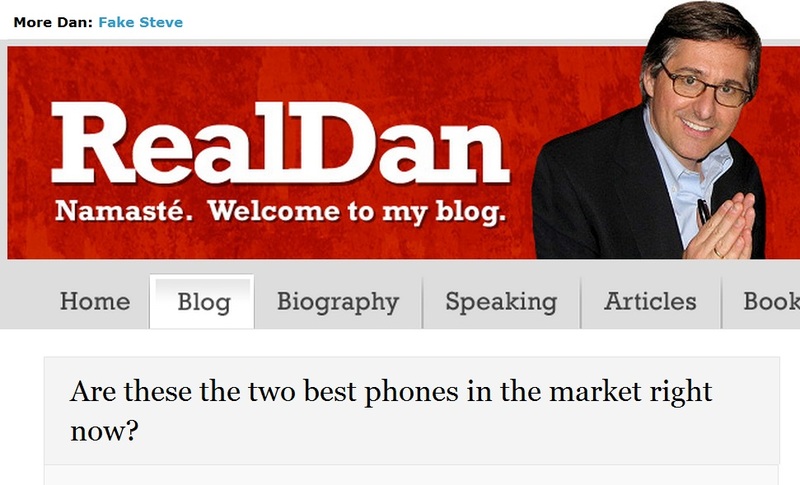 In an article where Dan talks about the iPhone 4S and Galaxy Nexus S, he discusses in the last paragraph the Nokia Lumia 800. Recently I had a Nokia Lumia 800 running Windows Phone in the mix — and every time the phones rang, the Nokia was the one I picked up. The design is just really nice, and it feels great in your hand. I’m doing an interview with the head of design at Nokia next week, and I’m anxious to talk to him about the Lumia 800. It really is a gorgeous device, and the Windows interface is really fresh and different. « 1 million Mobile Apps in the Marketplace; Windows Phone apps more profitable and gaining developer support at iPhone app expense?